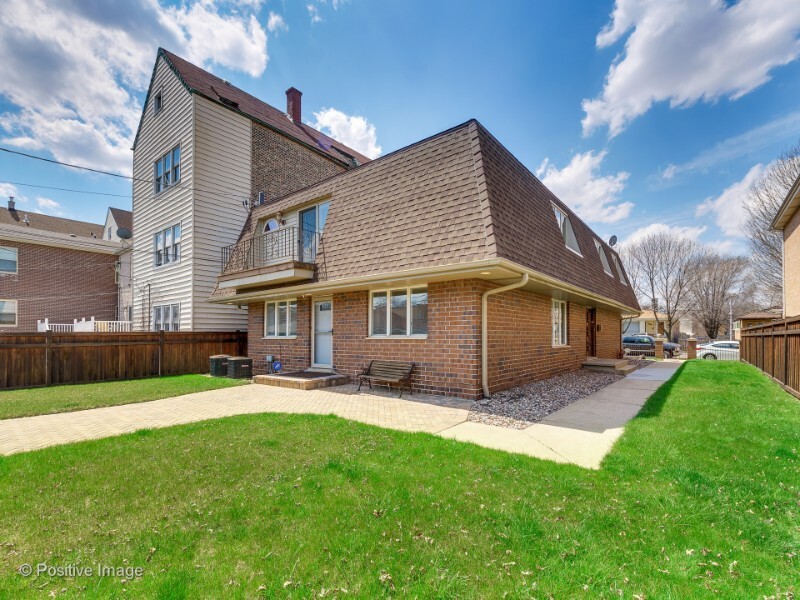 Extra wide brick single family home in the booming Bridgeport neighborhood with 4 bedrooms, 3.5 bathrooms, located on an oversize 53 X 125 lot. 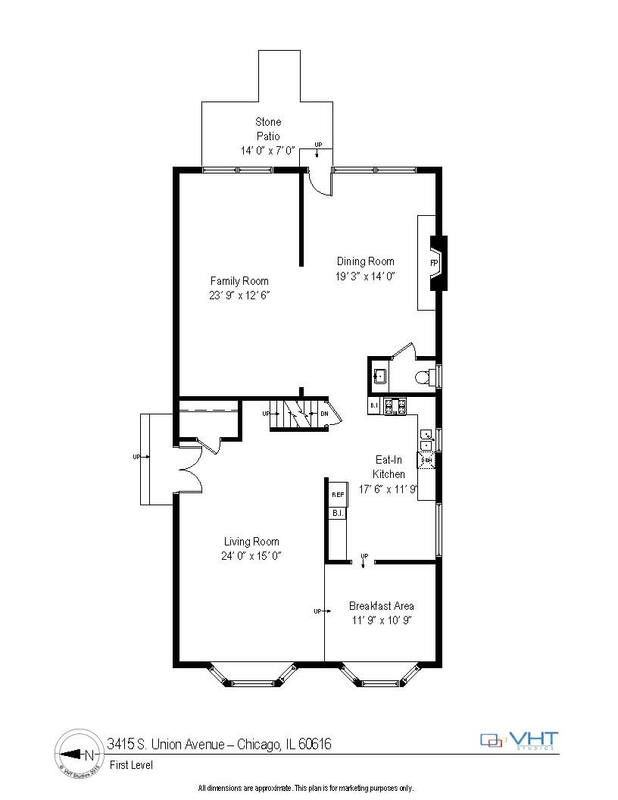 Spacious rooms and tons of natural light are provided throughout this 3,464 square feet home that is ready for your house warming party. 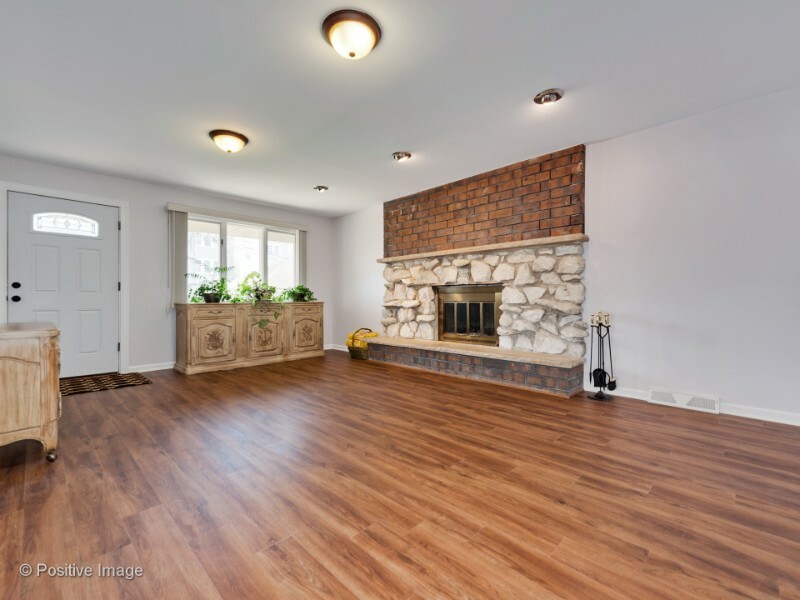 Living room, dining room, kitchen and breakfast area are recently updated with NuCORE waterproof flooring. 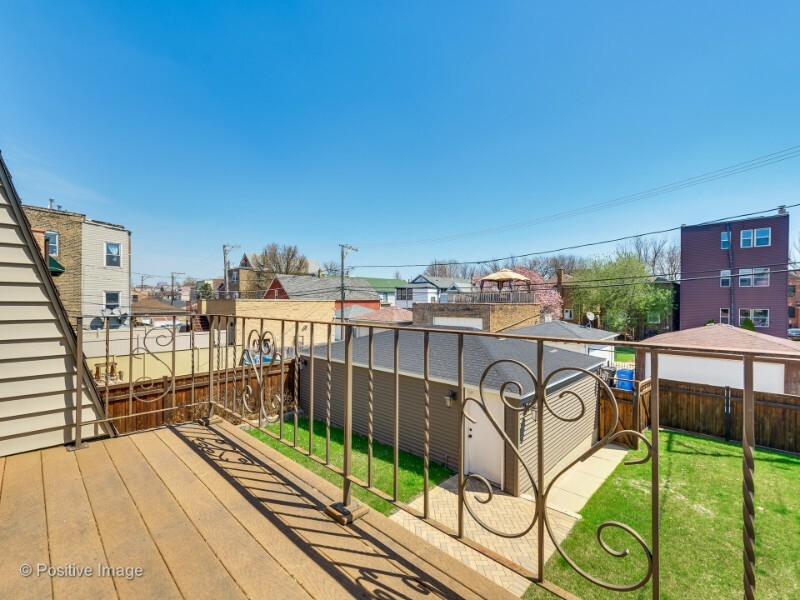 Step out your back door to a stone patio and a beautiful fenced in backyard that’s perfect for summer BBQ’S. 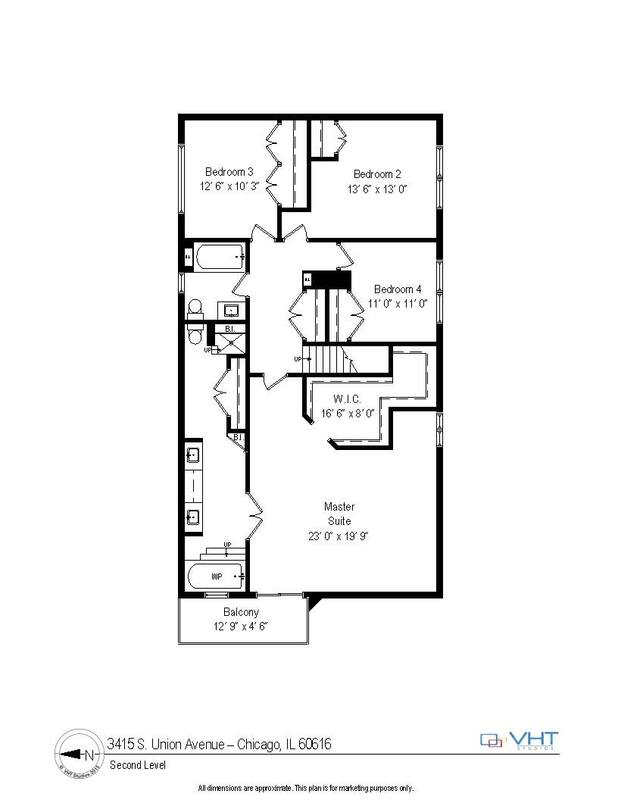 The second level provides 4 bedrooms that includes a spectacular master suite with a large 16 X 8 walk-in closet. 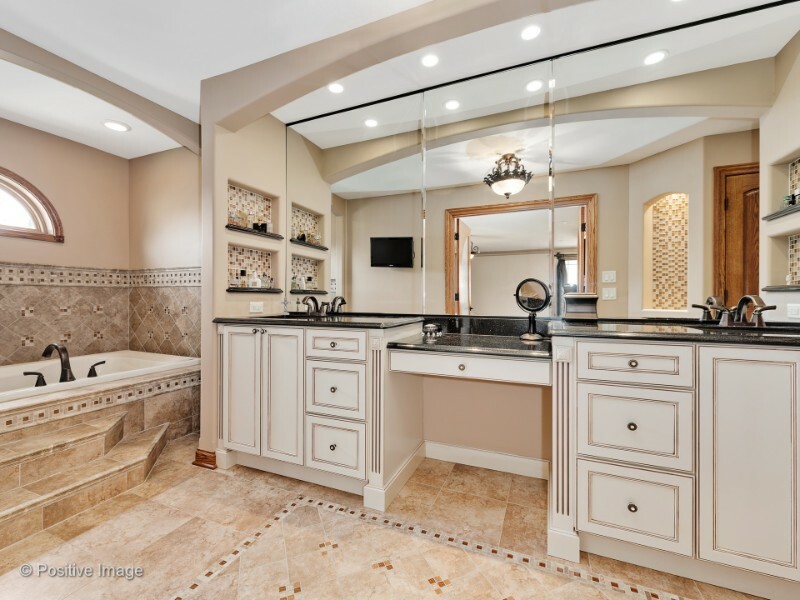 Huge master bathroom highlights a beautiful double vanity with a makeup counter, Jacuzzi tub and separate shower with multiple body sprays. 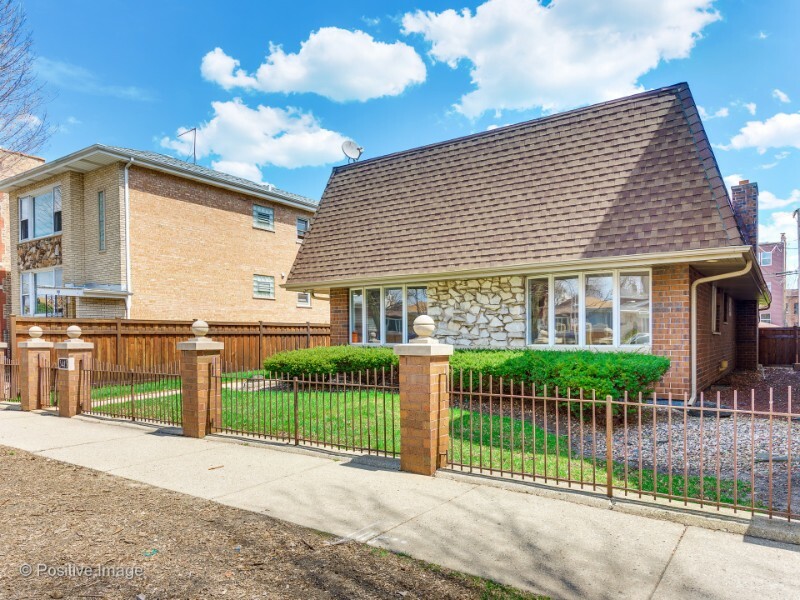 Basement was completely remodeled in 2009 and boasts a recreation room, playroom, 2nd kitchen, full bathroom and a huge laundry/utility room. It can be easily converted for an in-law arrangement. 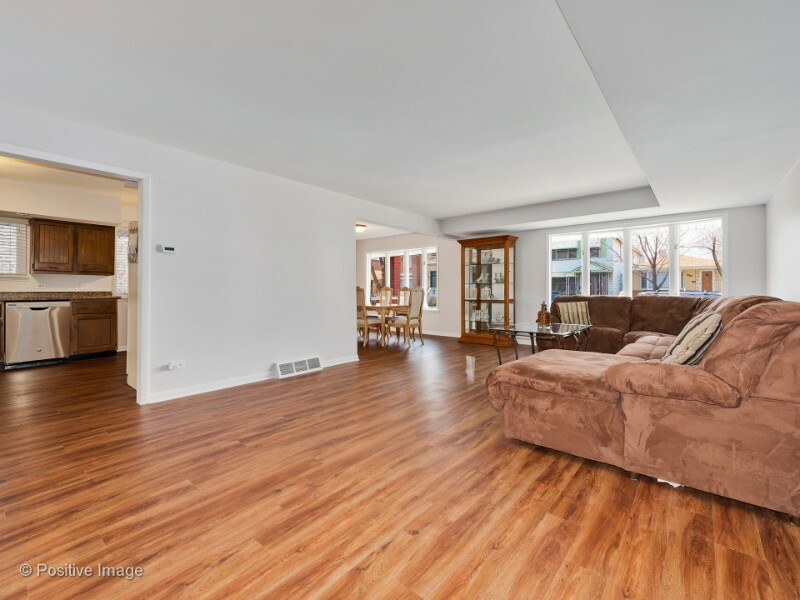 Dual-zone efficient HVAC, 75 gallon hot water tank, 2.5 cars garage. 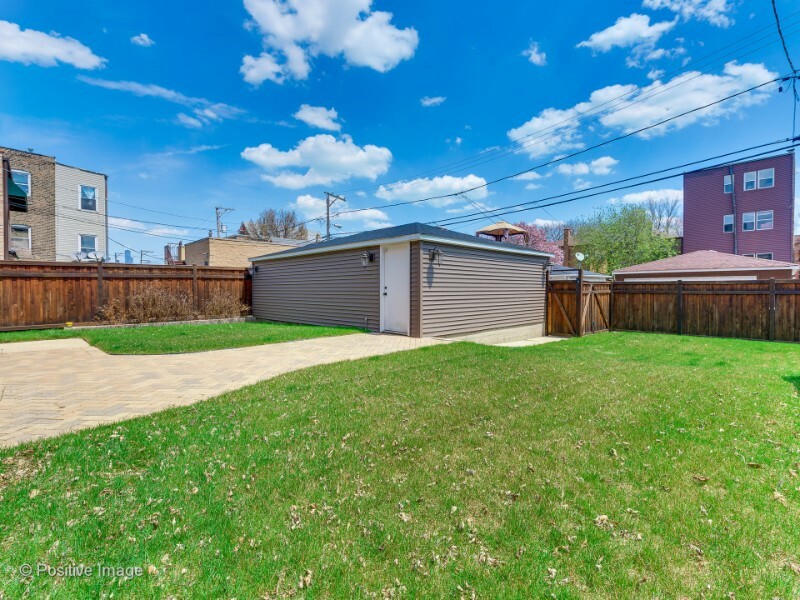 Great location in the Guaranteed Rate Field neighborhood. 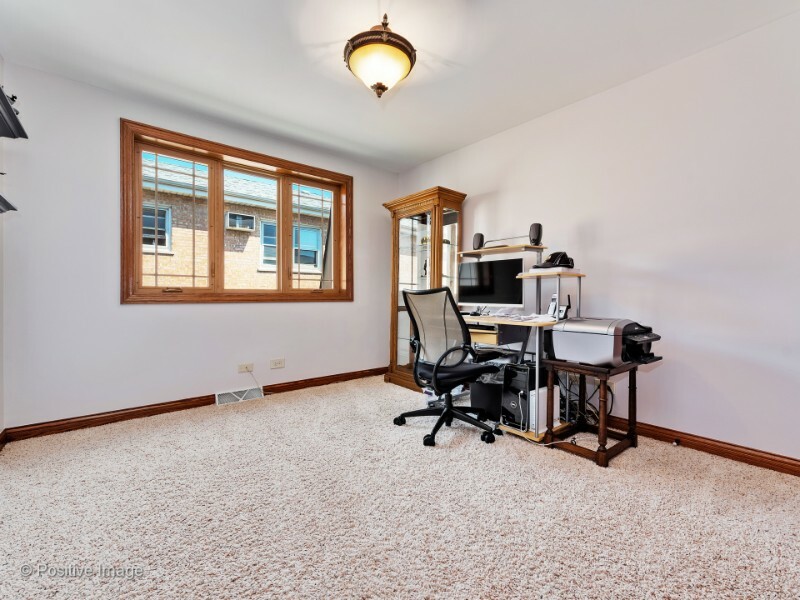 Easy access to major highways 55/I-90. Enormous living room space that streams tons of natural light throughout the day. Recently updated with NuCORE waterproof flooring. Breakfast area adjacent to the kitchen. 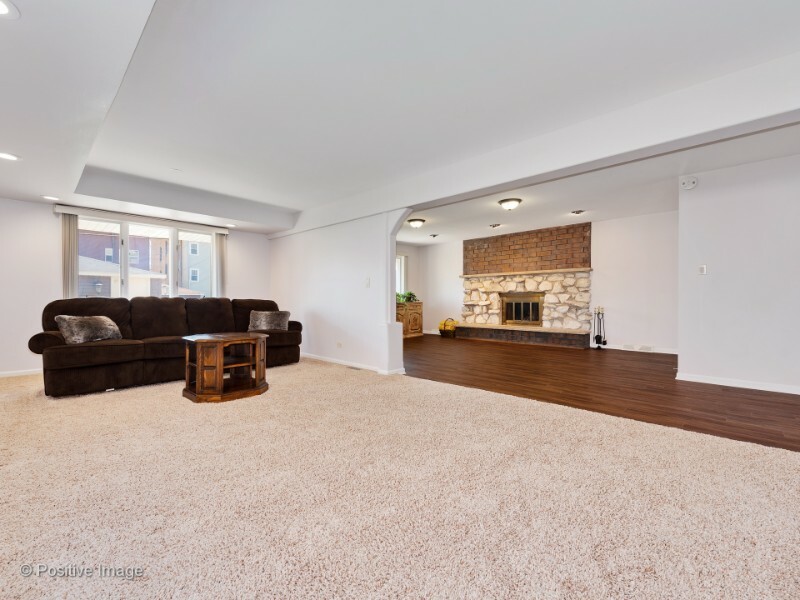 Spacious and bright family room with recessed lighting and carpet. 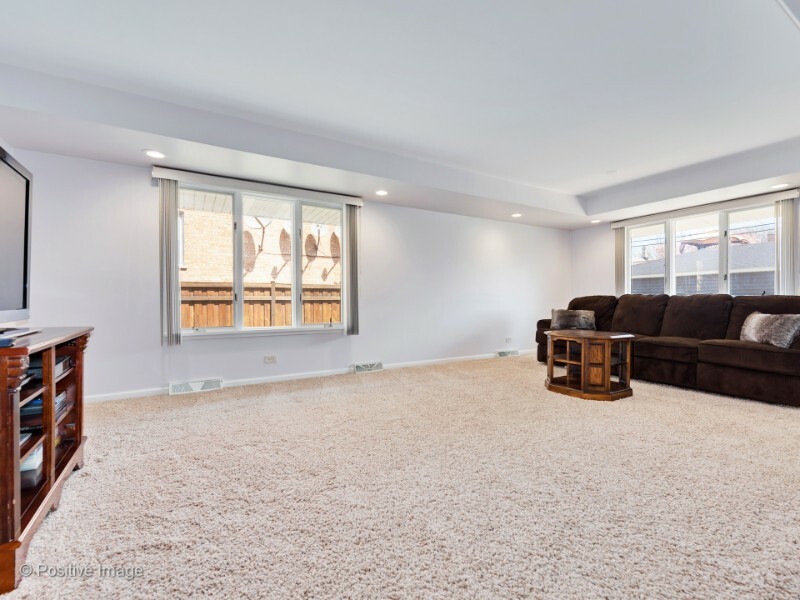 The family room is located next to the dining area, perfect for entertaining. 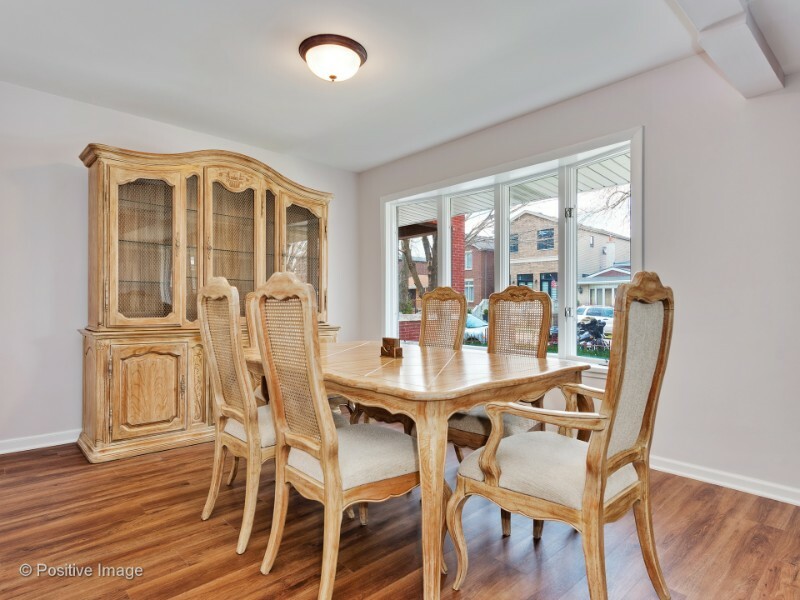 Huge dining area features a wood burning fireplace. Step out your back door to a stone patio perfect for summer BBQ’S. 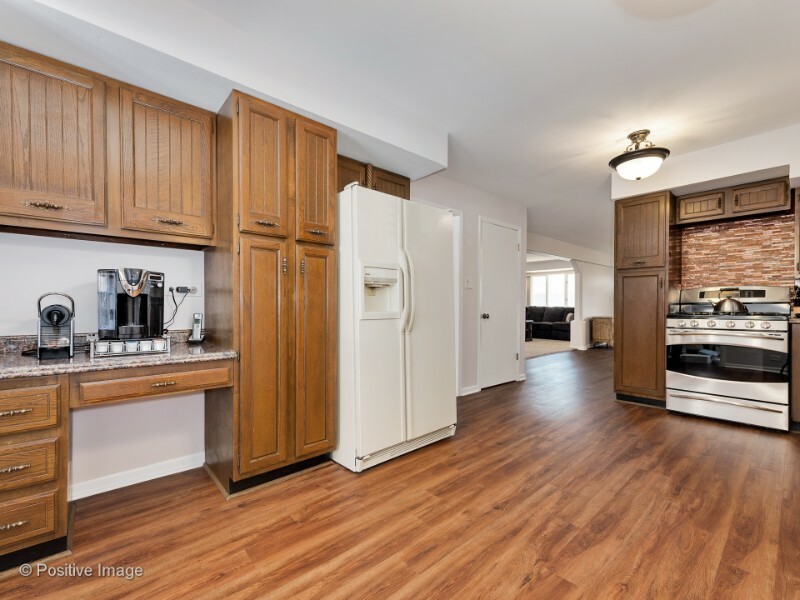 The spacious kitchen provides plenty of space for a dining area or more cabinets, if desired. 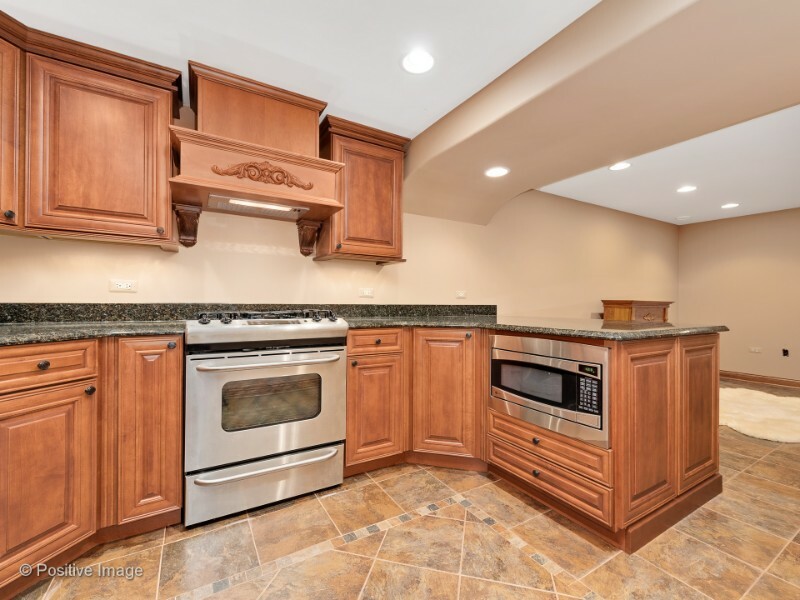 Kitchen features stainless steel appliances and a built in desk. 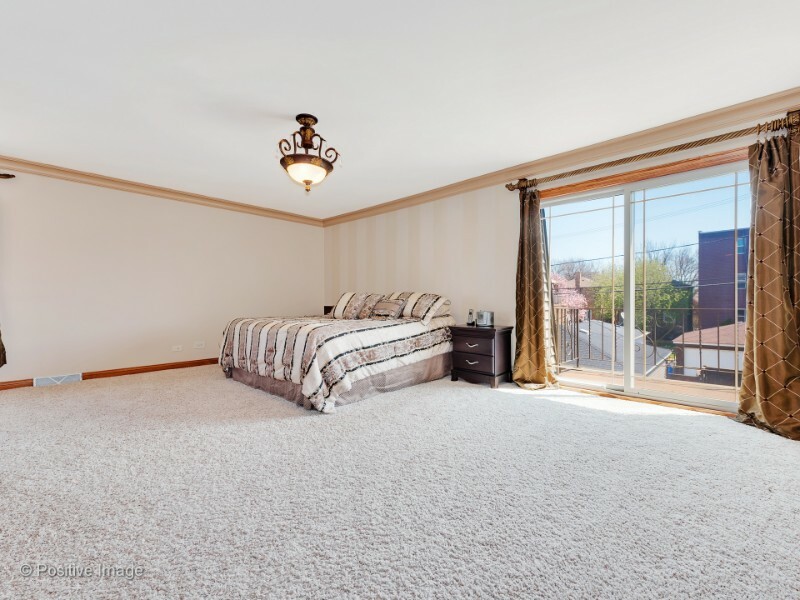 Spectacular master suite with crown molding and a private balcony. Master bedroom balcony provides a great space to enjoy your summer evenings. 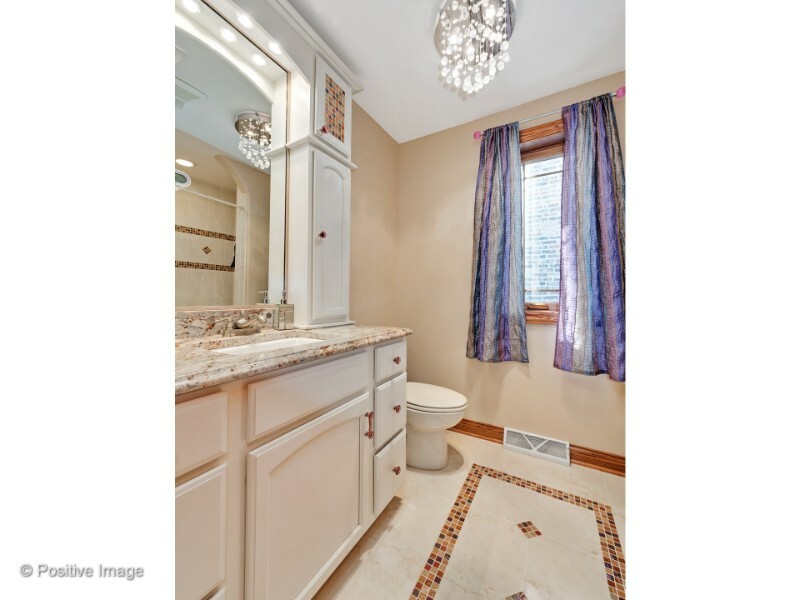 Enter the huge master bathroom that boasts a gorgeous double vanity with a make-up counter, built in shelves and a wall to wall mirror. 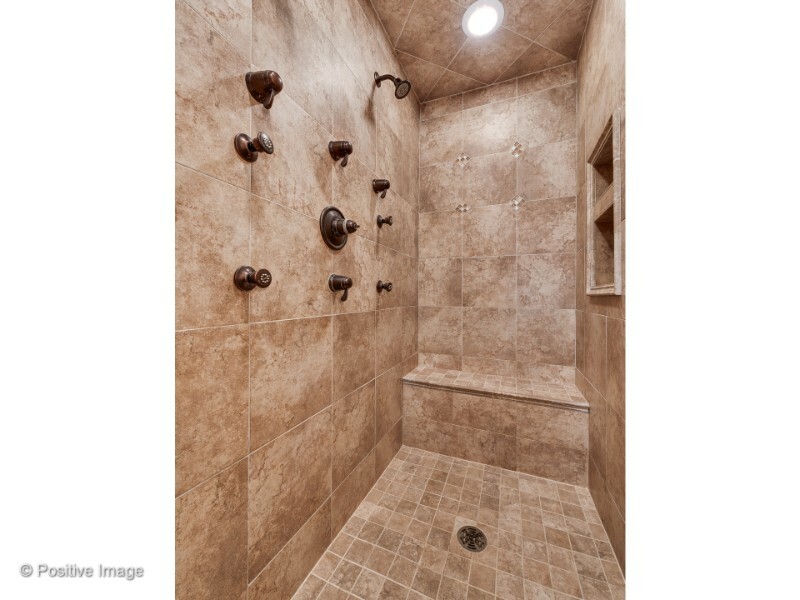 Separate shower with multiple body sprays. 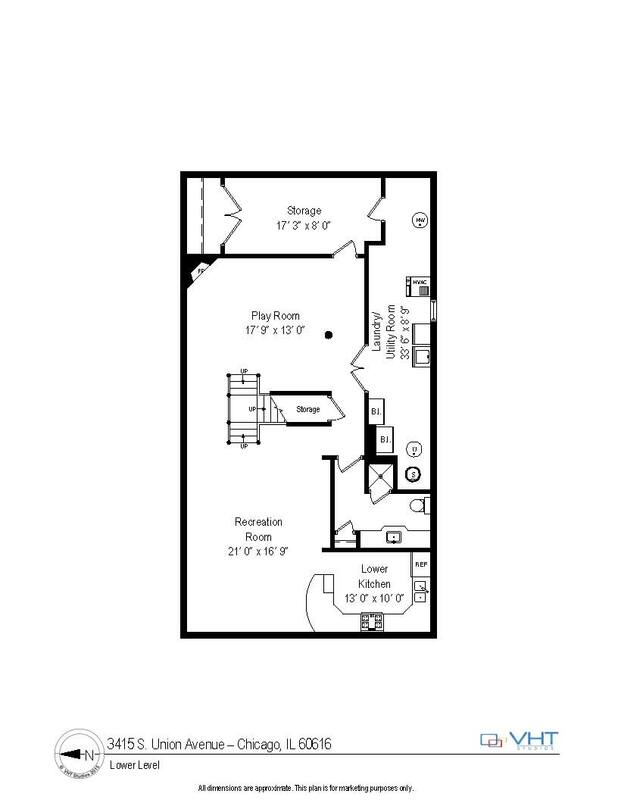 Master suite also features a huge (16 X 8) walk-in closet. 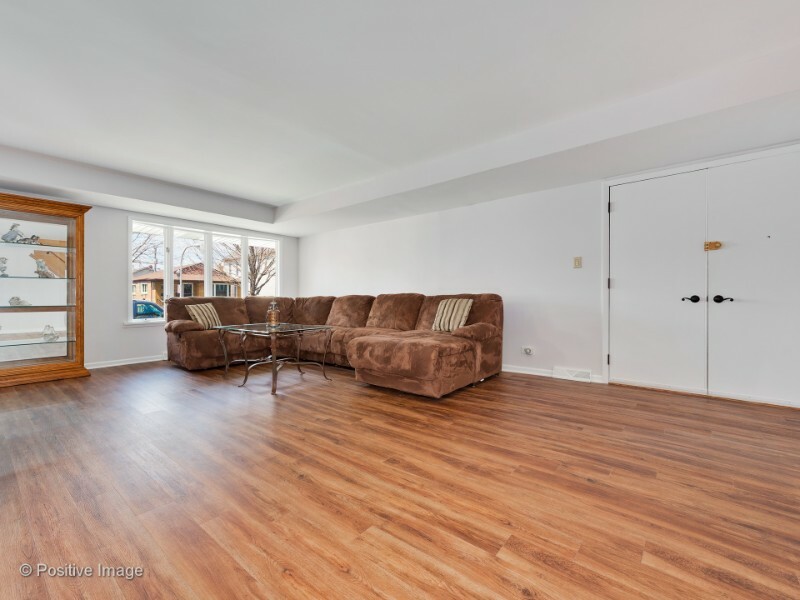 Large 2nd Bedroom with tons of natural light. Updated 2nd floor full bathroom. 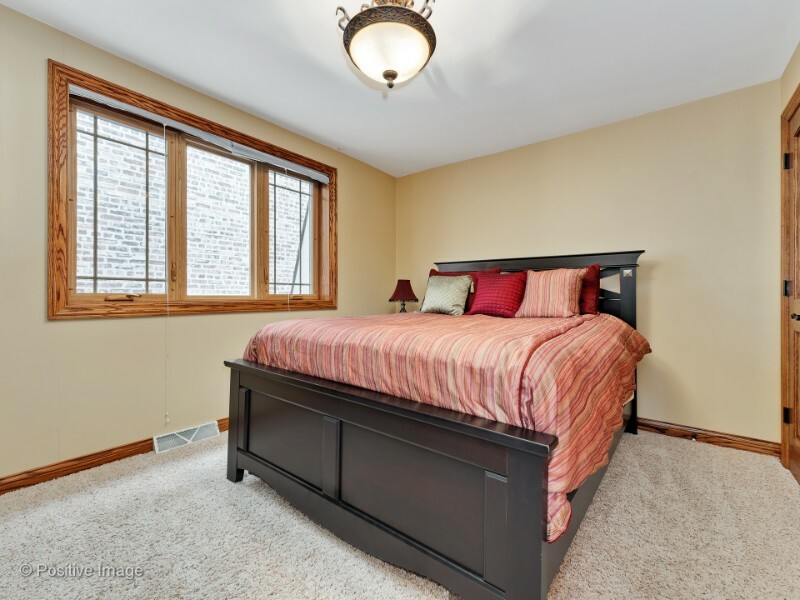 4th bedroom is perfect for guest room or office. 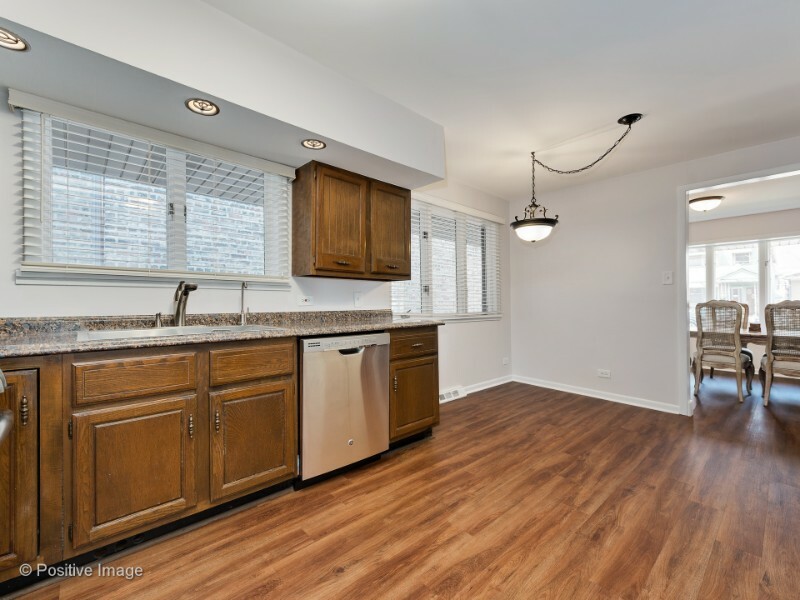 This spacious kitchen is located in the basement that was completely remodeled in 2009. 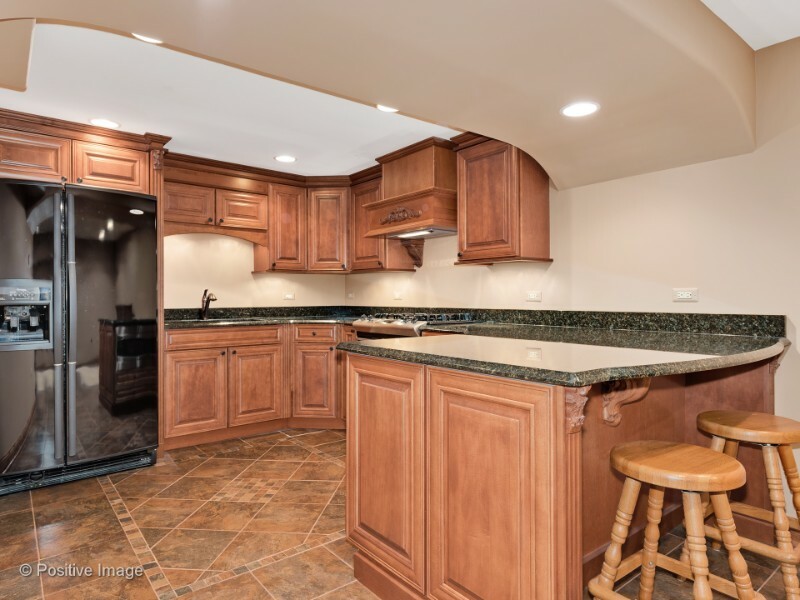 Stainless steel appliances, a breakfast bar and plenty of cabinet and counter space are featured in this kitchen. 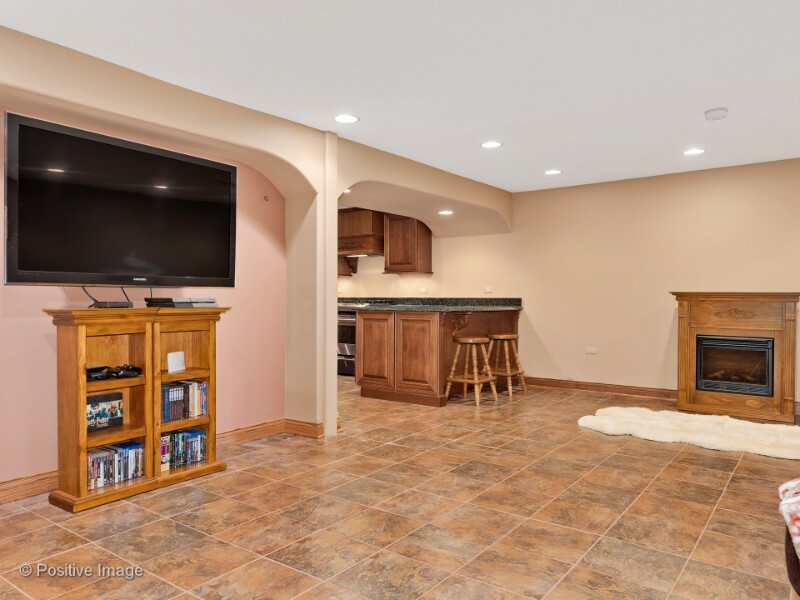 Huge recreation room features nuetral tile throughout. 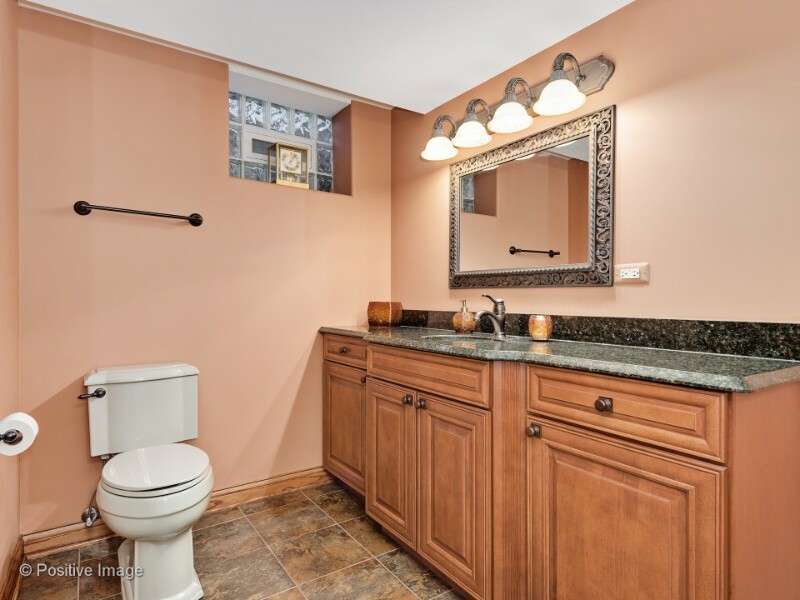 Completely remodeled full bathroom in the basement. Beautiful fenced in backyard with a lot of green.